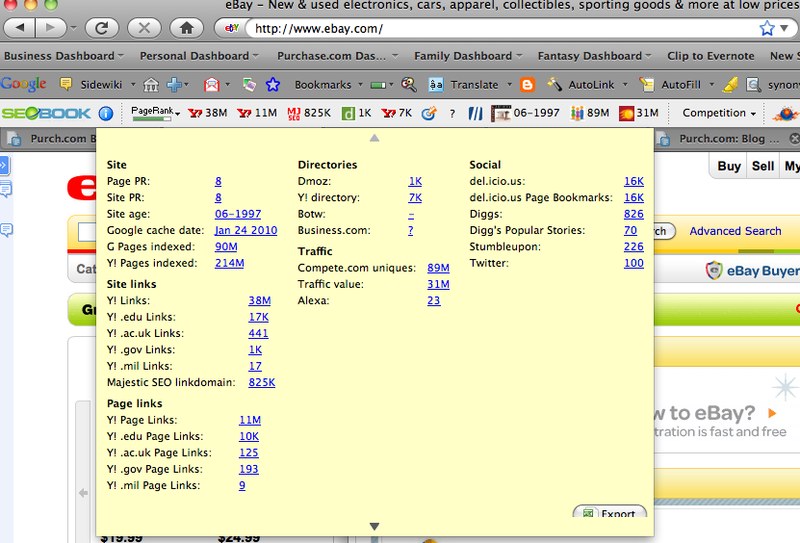 You could check my SEO extension for chrome, even if it doesn't have seobook features. You could check my SEO extension for chrome, even if it doesn’t have seobook features. I'll check it out, Tudor, as soon as I download Chrome. I’ll check it out, Tudor, as soon as I download Chrome. This rank checker tool is very helpful for checking google ranks. I'm glad you found it valuable. I was just coaching a book author on Friday who is really excited about using it to help grow his Web site. One trick I shared with him is to take the most common keywords that people use to find your site (you can do this through Google Analytics) and then paste them into the Rank Checker (you can do roughly 50 to 100 at a time) and see what your Google ranking is for ALL of them at once. That helped my entrepreneur friend figure out what keywords/topics to write about next. I’m glad you found it valuable. I was just coaching a book author on Friday who is really excited about using it to help grow his Web site.